Next attempt, Jackie Hites in Leesburg, SC, (where we had driven to eat a couple of years ago, only to find that they weren’t open on Tuesdays – this was before my enlightened era of calling). I called them next, only to find that they were closed until July 17. 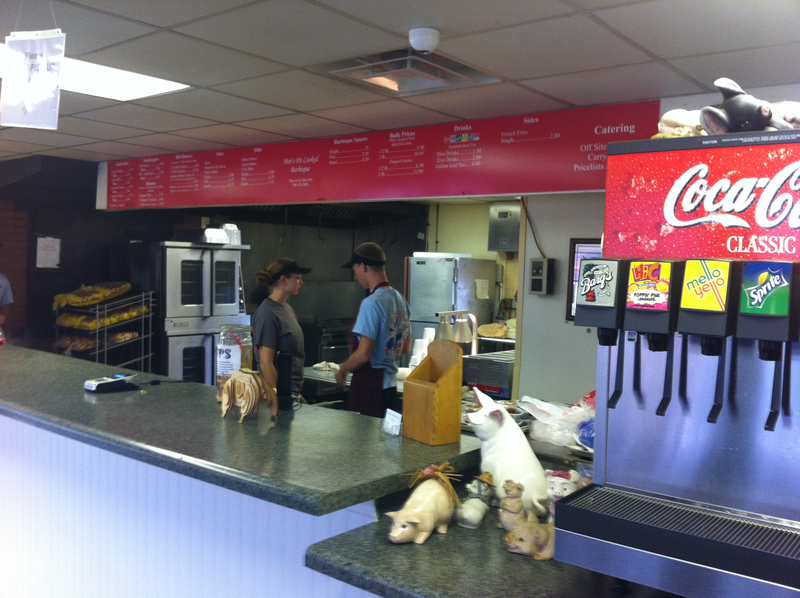 Scrambling, I pulled up Urbanspoon, as we were heading east on I-20, and looked at barbecue in Augusta. 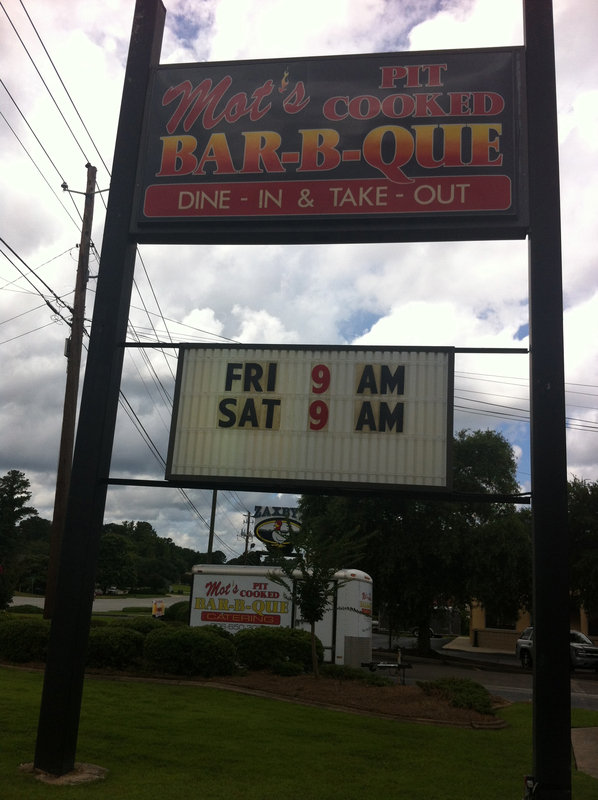 I read the reviews and decided on Mot’s Bar-B-Que in Augusta. The sweet, mixed with either the hot or the extra hot, made for my favorite combo. You can see the char and the crust on the ribs better in this picture. They were good, although I think they had sat for a while and were a little tough. 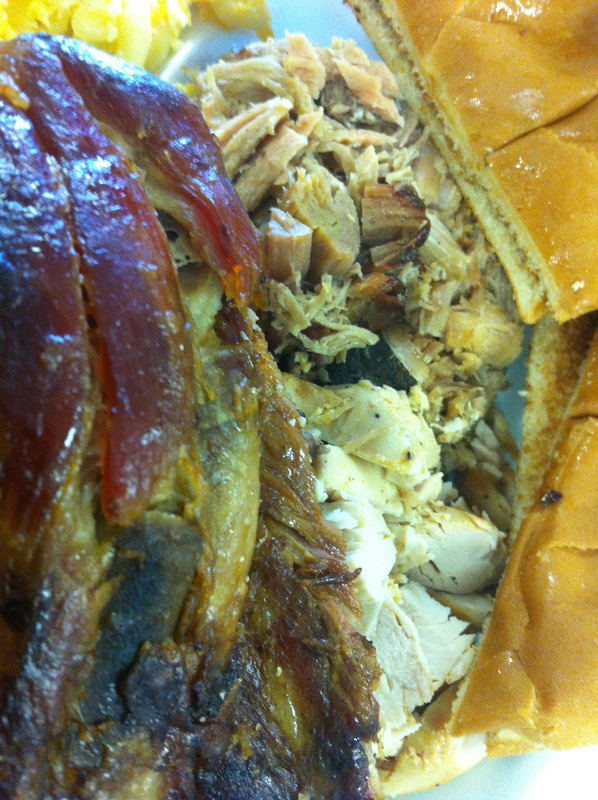 The chicken was a little dry and the pork was above average. The Mac-n- cheese was definitely homemade and appropriately cheesy. 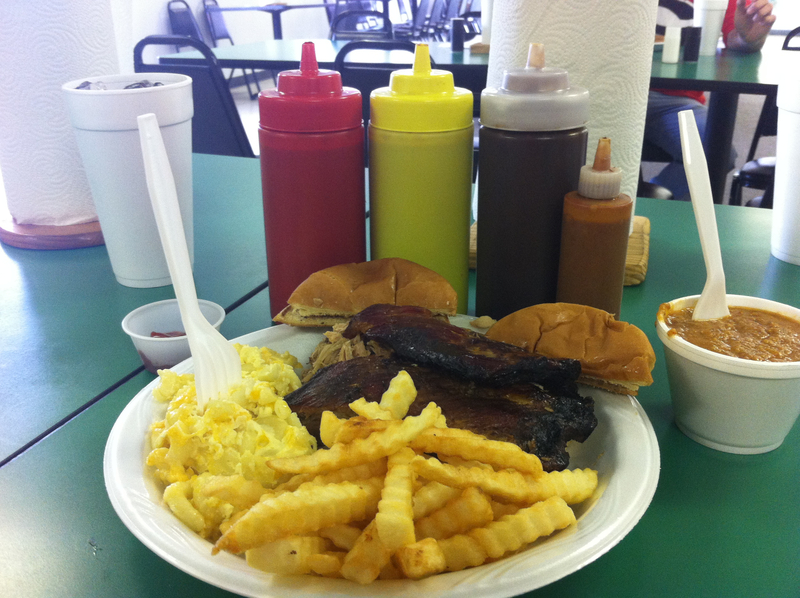 The hash and rice wasn’t the heaven on a plate from my last low country barbecue experience – it was fairly bland. Our guest taster, Sarah, had the potato salad which she said was very good, except for the “big honkin’ chunks” of celery. (Consider yourself warned.) This wasn’t a great stop, but it beat the standard chain fast-food lunch.